Hargow shrimp dumpling. 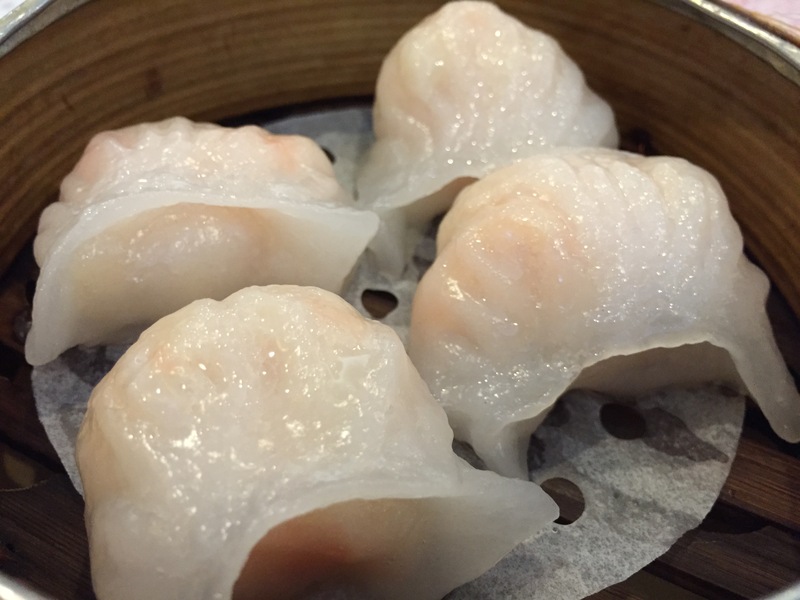 One of the most classic dim sum dishes. According to Wikipedia, the wrapper should have at least seven pleats and the amount of shrimp should be generous but not so much that it can’t be eaten in one bite. Who knew?! Dim sum, cart-style. Enough said? 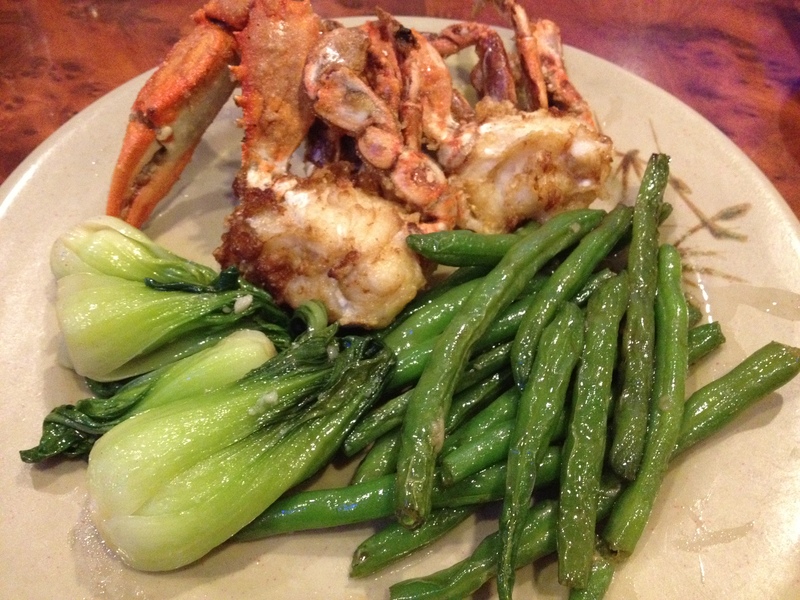 What are your favorite dim sum dishes? It’s been a while since I’ve been out for Chinese, so tonight’s visit to China Pavilion* was long overdue. 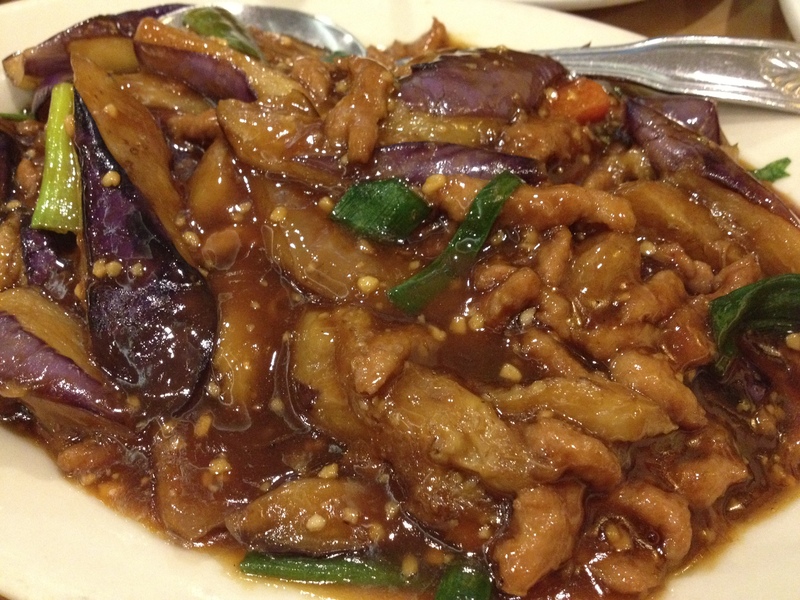 First order of business… Pork and Eggplant in Garlic Sauce. 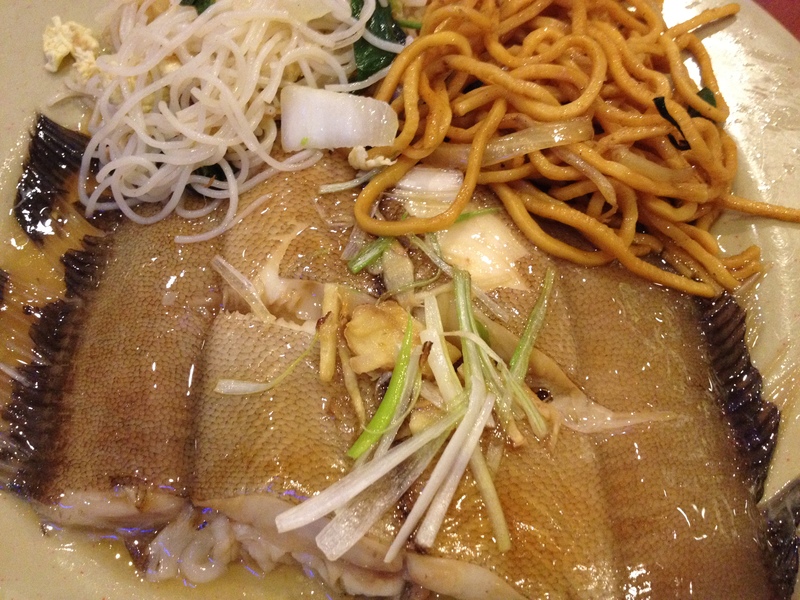 This is one of my all-time favorite Chinese dishes, if not my #1 favorite dish. (Did I mention I love garlic?!) The garlic sauce makes it really flavorful, and plus, I get servings of veggies AND meat! 2-in-1, woo, multiple food groups! Needless to say, this gets a good from me! No ratings for this meal. 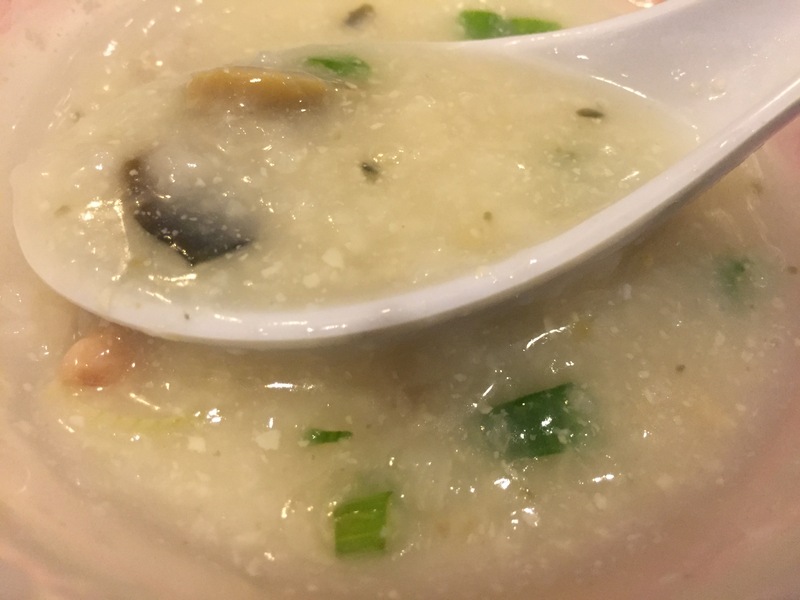 Since I’ve eaten at Dragon Gourmet so many times, my opinion’s probably biased anyway. Otherwise, why would I keep going back? 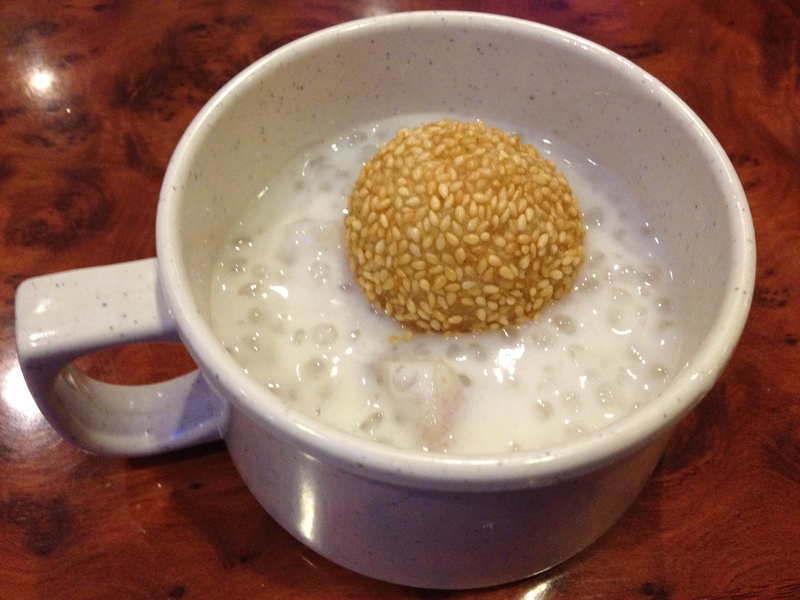 The tapioca and fried sesame ball don’t typically go together, but I was trying to be environmentally-conscious and opted not to get an extra plate. Typically, I would’ve gotten ice cream for dessert — in a cone, of course — but I’m currently still ice-creamed-out from my cruises in April and May. 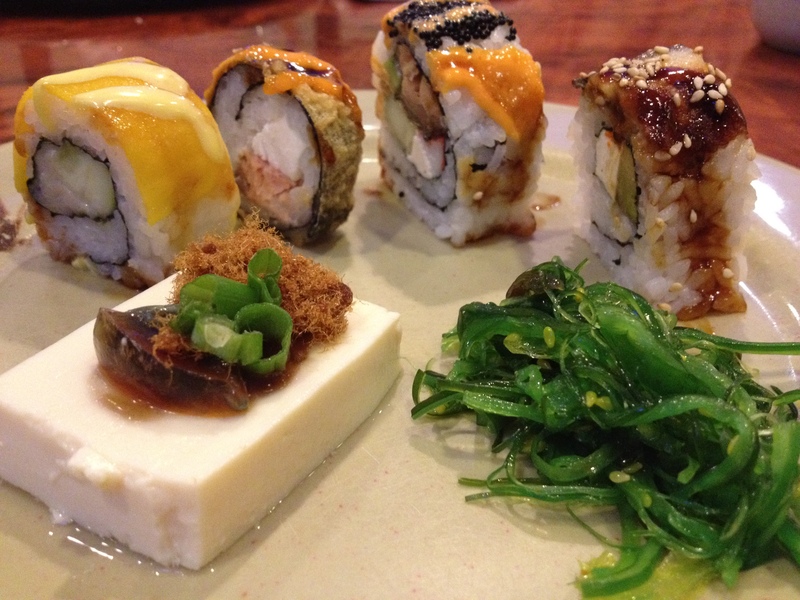 Eat any noteworthy meals this weekend?